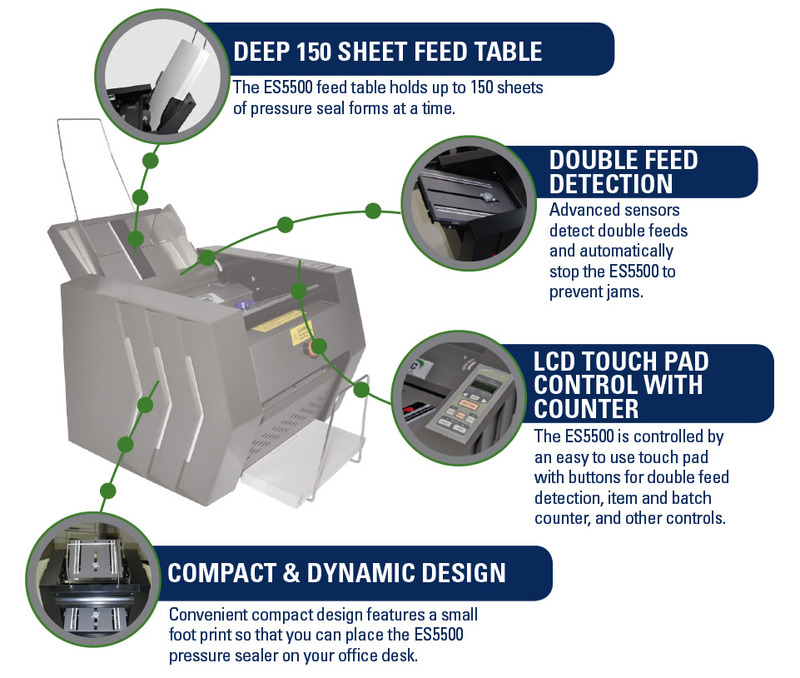 The ES5500 is a powerful desktop pressure seal machine which processes up to 5,000 forms per hour with a monthly duty cycle of 30,000 pieces. Its feed table holds up to 150 pressure seal forms which gives it the largest capacity in the desktop pressure seal market today. 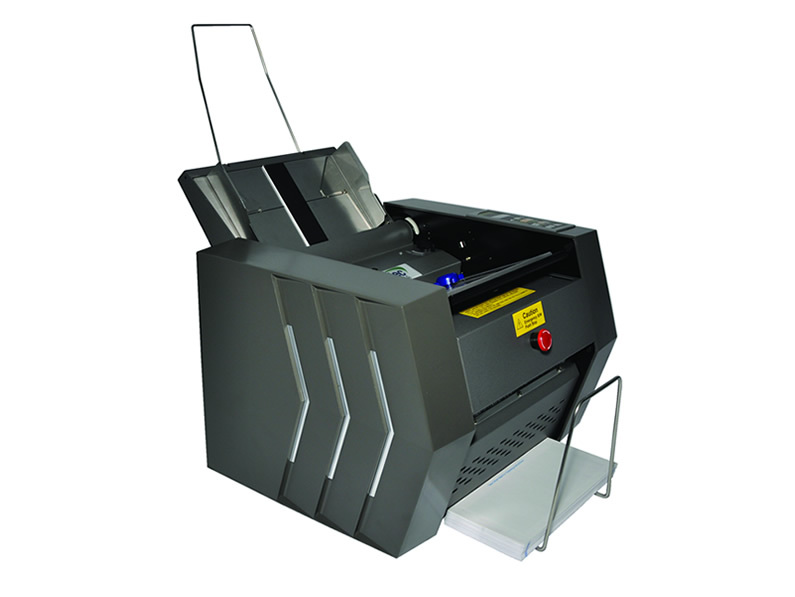 The machine also includes an LCD display with item counter, double feed detection sensors, a manual feed slot for sealing pre-folded forms, and batch count processing.